The biggest Graphic Arts & Visual Communication Event in Greece is getting even bigger and more pluralistic! Save the dates for the 16th GRAPHICA openning in February 2019! With a bi-annual periodicity since 1991, when it first opened its doors, GRAPHICA is the meeting point for the Print - Label - Packaging and Sign Industry in Greece. In its 25 years of successful history, the Exhibition has hosted all the major Brands in the Industry such as Agfa, Canon, Heidelberg, HP, Konica Minolta, Mimaki, Roland and Xerox to only name a few. From the first opening until the most recent GRAPHICA in 2017, the Graphic Arts Exhibition provides a platform for every professional to meet, collaborate and find new suppliers of print machinery and consumables. 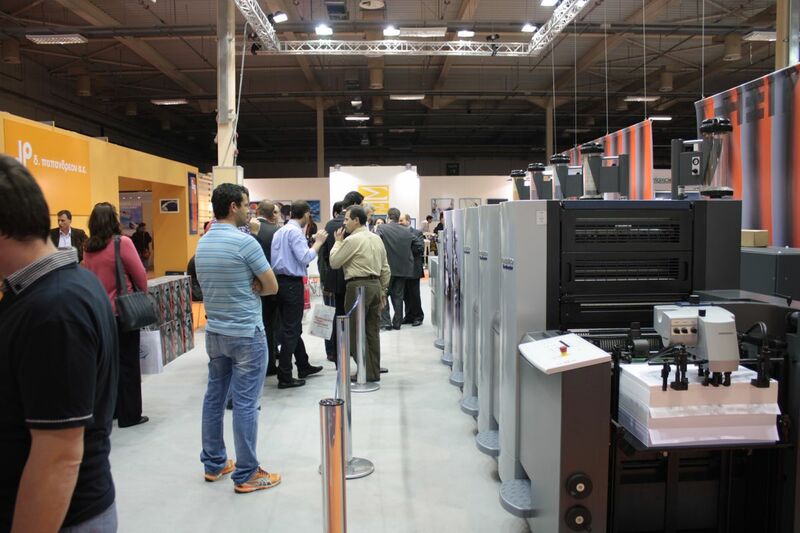 In its recent history, GRAPHICA has managed to follow the trends and has successfully included exhibits of Digital Printing (both machinery and consumables), offering to its professional visitors the opportunity to be fully informed about the changes and development of the Printing - Label - Packaging and Sign Industries. With exhibitors active in the Offset Printing Business in the 90's decade, to exhibitors with a full orientation to Digital Printing nowadays, GRAPHICA captures and promotes the pulse of the Printing Industry in all 4 sectors. Our next exhibition will take place on the 22nd to 24th of February 2019, once again offering our visitors the opportunity to be updated on the latest developments and trends and view and test the latest products the Graphic Arts Industry has to offer. Digital Printing Machinery & Consumables / Offset Printing Presses & Peripherals / Bookbinding Machinery & Consumables / Printing Paper / Print Service Providers. Large Format Printers / Digital & Traditional Signage / Led & Neon Signage / Display Media / Stands & Promotion Equipment / Car Wrapping Consumables / Vinyl & Adhesive Media. Digital Label Printing Machinery / Labeling Hardware / Labeling Software / Labeling Consumables / Label Print Service Providers. Paper Packaging Machinery & Consumables / Digital Packaging Equipment / Flexible Packaging Printing Machines & Consumables / Quality Control Equipment / Packaging Software. Our Visitors, which are active professionals in the Industry and on their greatest majority owners, high level staff and decision makers, have followed us through the years and trust GRAPHICA EXPO as their knowledge base provider for what's happening in the Printing Business. Our goal from the beginning was to be acknowledged as a one-stop event for a variety of sectors (Printing (both Digital and Traditional), Labeling, Packaging and Signage (both traditional and digital)) and the statistics below confirm the achievement of our goal and reward our hard work and determination. 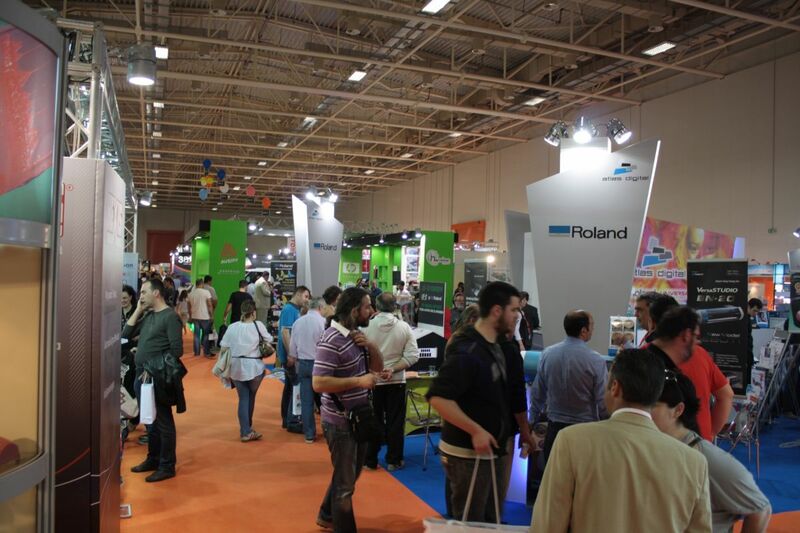 Visitors of Graphica Expo are active professionals with high level positions in their business. They are mainly owners and decision makers, allowing our exhibitors to meet face to face with their future clients. This is also the reason why our exhibitors close important deals during the Exhibition. GRAPHICA is taking place in Athens, the Greek Capital and Greece's biggest city with approx. 5 Mio. residents. It comes with no surprise that a big proportion of Graphica's unique visitors live and work in Athens. However, GRAPHICA also attracts 59% of its visitors from the rest of Greece and neighbouring Countries. *Due to the complexity of the Graphic Arts Industry, visitors are active in more than one sectors. GRAPHICA is proud for its accomplishment to attract an ever growing number of visitors, since it targeted markets like the Labeling, Packaging and Signage Business, collecting under one roof all major sectors of the Printing Industry. Use the form below to mail us, or simply give us a call using the numbers on the right.